Bold, subtle or natural. Achieve your look. Put your feet up and unwind with a cup of our specialty tea. The experience includes a foot soak, nail shaping, callous removal, exfoliation and hot stone massage of the lower leg and foot. Completed with a regular polish application in the colour of your choice! Our signature hot stone pedicure with a UV gel polish application in the colour of your choice! Includes a foot soak, nail shaping, callous removal, exfoliation and hot stone massage of the lower leg and foot. If you currently have UV gel or shellac on your toes, UV removal will have to be added at the time of booking so that the correct amount of time is allocated for your appointment. If you anticipate having gel polish or shellac on your nails at the time of your appointment, we will require you to also book in UV removal so that we can allocate enough time for your appointment. This is an add-on service only that must be booked in conjunction with a manicure, pedicure or polish change service. A quick change of color! This service includes nail shaping and a regular polish application in the colour of your choice. Please note: if you are looking for full nail work, please make sure to book in a full hot stone pedicure. This service does not include cuticle care, paraffin treatment or hand massage. Our signature hot stone pedicure painted with an elegant white tip. This service includes regular polish, however you are able to upgrade to UV polish at the time of booking for an additional cost of $10. Happy and healthy hands begin with a warm cuticle soak, nail shaping & cleaning, cuticle work, tension relief hand massage and a nourishing paraffin treatment. Completed with a regular polish application in the colour of your choice! A natural looking manicure, perfected! A highly effective system that carefully infuses the nail with a blend of vitamins, proteins and botanicals. This treatment instantly improves the condition and appearance of cosmetic nail concerns. Our signature manicure with a UV gel polish application in the colour of your choice! Includes a warm cuticle soak, nail shaping & cleaning, cuticle work, tension relief hand massage and a nourishing paraffin treatment. If you currently have UV gel or shellac on your fingers, UV removal will have to be added at the time of booking so that the correct amount of time is allocated for your appointment. Please note: if you are looking for full nail work, please make sure to book in a full signature manicure. This service does not include cuticle care, paraffin treatment or hand massage. Our signature manicure painted with an elegant white tip. This service includes regular polish, however you are able to upgrade to UV polish at the time of booking for an additional cost of $10. If you anticipate having UV gel polish or shellac on your nails at the time of your appointment, we will require you to also book in UV removal so that we can allocate enough time for your appointment. This service is add-on only, and can only be booked in conjunction with a mani or pedi service. Please note: Spa 901 nail services DO NOT include removal, modification or application of artificial enhancements, including hard gel or acrylic extensions or fills. If arriving for your appointment with artificial nail enhancements, Spa 901 reserves the right to decline, reschedule, shorten or apply additional charges to your service. Thank you for taking the time to read this section. Please be aware that Spa 901 nail services do not include removal, modification or application of artificial enhancements, including hard gel or acrylic extensions or fills. 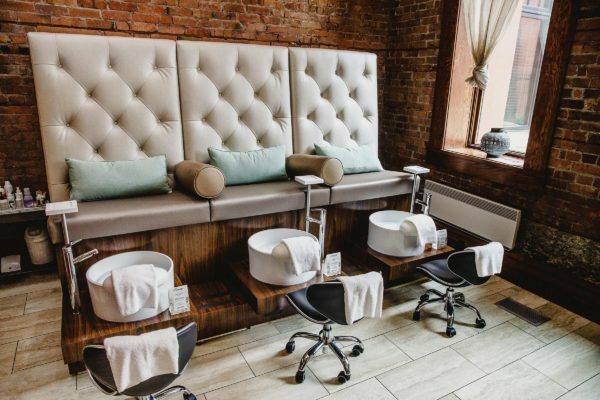 If arriving for your appointment with artificial nail enhancements, Spa 901 reserves the right to decline, reschedule, shorten or apply additional charges to your service. If you anticipate having UV gel or shellac on your nails at the time of appointment, we will require you to book in a UV removal service, in conjunction to your manicure or pedicure, so that the correct amount of time can be allocated for your appointment. UV removal is an add-on service only, and needs to be booked in conjunction with a manicure, pedicure or polish change for fingers or toes. 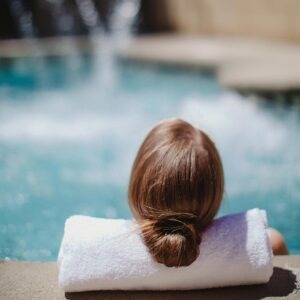 Enhance your manicure or pedicure experience by soaking in the outdoor hot pool or detoxifying in the infrared sauna prior to your service for an additional charge of $12. For full information about our facilities, click here. Please notify at the time of booking if you would like to add on access, as availability is limited. Access to the amenities is available during the spa’s business hours.